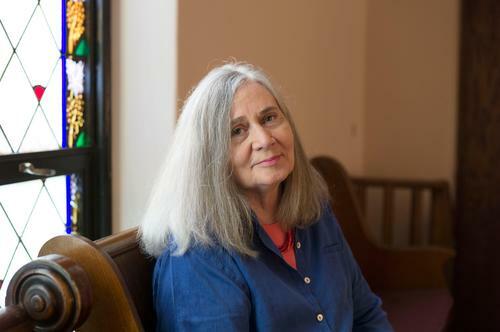 The Institute of Sacred Music is pleased to announce the appointment of Dr. Marilynne Robinson as visiting professor of religion and literature at the ISM and Yale Divinity School for the 2020 spring term. Robinson is no stranger to Yale. In 2009, she delivered the Dwight H. Terry lectures culminating in the book Absence of Mind. In 2014, she gave the Lana Schwebel Memorial Lecture in Religion and Literature, and in 2018, Yale awarded her the honorary degree Doctor of Letters. Marilynne Robinson is the author of four novels, including Gilead (2005), winner of the Pulitzer Prize for fiction; Home (2008), winner of the Orange Prize and the Los Angeles Times Book Prize; and Lila (2014), winner of the National Book Critics Circle Award. Her first novel, Housekeeping (1980), won the Hemingway Foundation/PEN Award. Robinson’s nonfiction books include The Givenness of Things, When I Was a Child I Read Books, Absence of Mind, The Death of Adam, and Mother Country, which was nominated for a National Book Award. Other awards include the Library of Congress Prize for American Fiction (2016), the Dayton Literary Peace Prize Richard C. Holbrooke Distinguished Achievement Award (2016), the Orange Prize for fiction (2009), the National Book Critics Circle Award for fiction (2005, 2014), the PEN/Diamonstein-Spielvogel Award for the Art of the Essay (1999), and the Louisville Grawemeyer Award in Religion (2006). She was the recipient of a 2012 National Humanities Medal, awarded by President Barack Obama, for “her grace and intelligence in writing.” She has received honorary degrees from Amherst and Skidmore Colleges, the College of the Holy Cross, Brown University, the University of the South, the University of Notre Dame, and Oxford University, as well as Yale. She is an honorary a fellow of Mansfield College, University of Oxford. During her semester-long residency, Prof. Robinson will teach one graduate seminar in the field of religion and literature and give a series of lectures to the Yale community. Please join us in warmly welcoming Marilynne Robinson back to Yale.